Considering comorbidity in social phobia contributes to our understanding of causal pathways and improved classifications for psychiatric disorders. Comorbidity also has important clinical implications. While a number of studies have investigated comorbidity in social phobia, only one other study has used the Composite International Diagnostic Interview (CIDI) and considered comorbidity in subtypes of social phobia. This study evaluated lifetime social phobia comorbidity with other common mental disorders as well as comorbidity in subtypes of social phobia. We also considered whether social fears, reported by respondents with social phobia, had an earlier or later age of onset than other disorders. Data came from the Mental Health Supplement to the Ontario Health Survey, a survey of 8,116 Canadian respondents, ages 15–64. Psychiatric diagnoses were determined using the CIDI. This instrument is considered more sensitive than earlier instruments for diagnosing social phobia. Fifty-two percent of respondents with lifetime social phobia reported at least one other lifetime mental disorder and 27% reported three or more lifetime mental disorders. Social phobia, in this sample, is strongly comorbid with anxiety and affective disorders, and moderately comorbid with substance abuse disorders. When two social phobia subgroups were considered, the largest odds ratios were found among the not-exclusively-speaking social phobia group. This subgroup would include most of the respondents with a generalized form of social phobia. Age of onset of social fears, in respondents with social phobia, preceded age of onset of the comorbid disorder in 32% of cases with comorbid anxiety disorder, 71% of cases with comorbid affective disorder and 80% of cases with comorbid substance dependence/abuse disorder. 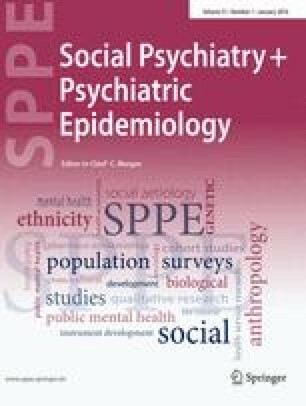 Comorbidity and relative age of onset among respondents with social phobia in this study are generally consistent with previous epidemiologic studies. Clinicians should be vigilant for comorbidity in social phobia and should select treatments that target the full range of comorbid disorders. Early intervention or prevention of social fears or social phobia has the potential to reduce the risk of comorbid disorders.